Beautiful slender upright shrub for any garden. Rare species from north of Perth, WA. 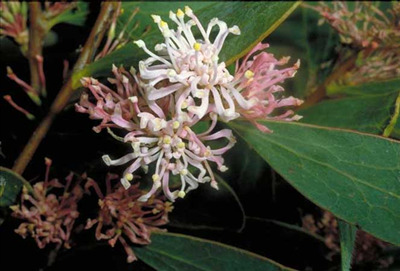 Leaves are similar to Hakea laurina, deep pink flowers occur along the stems in winter-spring. Great for semi-arid drought tolerant gardens. Excellent along narrow driveways and small spaces with reflected heat. New introduction to California. Propagation Information: Seed germinates readily if available.